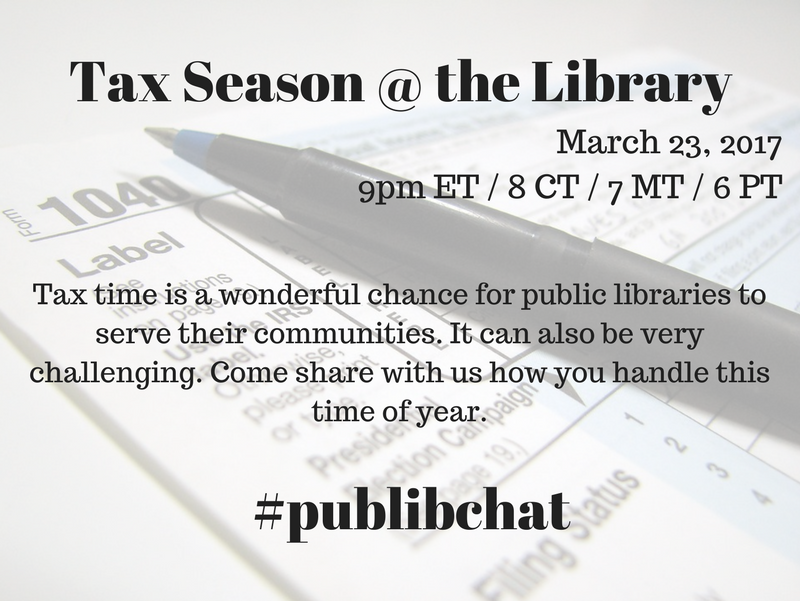 Please join us for the upcoming #publibchat on Thursday, March 23rd to talk about the how we can best serve the public during tax season. Come with tips or advice to share or just to learn what others are doing! 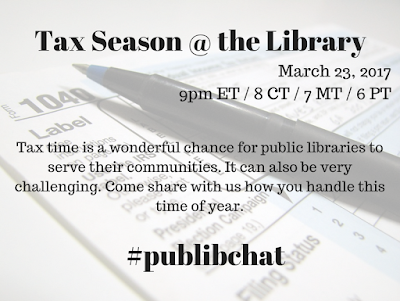 Also, check publibchat.org for the schedule of upcoming chats and let us know if you would like to suggest a topic or help moderate a chat! Thank you! Hope to chat with you soon.